Sign up to Playamo Casino today and you can get your hands on nearly 2,000 quality casino games. With slots from 12 incredible software providers and an exceptional live dealer section, you’re sure to find plenty to keep you busy. Best of all, you can play bitcoin games at Playamo Online Casino. Sign up and make your first deposit and Playamo Casino will reward you with 100 free spins along with a 100% match deposit bonus to get you started. Take a look at our full review below. 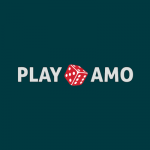 If you’re on the hunt for an online casino that keeps rewarding players, you’re going to want to give Playamo Casino a go right now. This platform offers a big spread of ongoing and limited-edition promotions to reward new and returning players evenly. If you’re a high roller, you can get your hands on the welcome bonus even easier, provided you’re prepared to make the first deposit of $/€1,500. Do this, and you’ll get a 50% deposit bonus up to the amount of $/€3,000. Playamo Casino gives you opportunities weekly to score more free spins and cash. From Monday to Friday there’s the chance to get your hands on free spins and a cash bonus, depending on how much you deposit. For example, on Mondays, you can score up to 10 free spins for certain slots. The number of free spins is generally credited based on your Monday deposit amount. On Fridays, you can grab a 50% deposit bonus up to $/€250 along with a whopping 100 free spins that are credited in two batches of 50 over 48 hours. You’ll need to wager your deposit amount just 1x before using the free spins. While Bitcoin players do not have access to Playamo Casino’s regular welcome bonus, there are still a couple of bonuses and free spins available. As with pretty much all online casino welcome bonuses and promotions, Playamo Online Casino has wagering requirements. They’re relatively standard at 50x playthrough, which means you need to play through your deposit and welcome bonus 50x before you can withdraw any winnings. On the bright side, slots count 100% towards the playthrough requirement and there are more than enough slots to choose from at this casino! Playamo Casino has its very own VIP club to ensure that passionate players are treated with the utmost respect and dignity. The VIP Club is available to all players at this online casino. All you have to do is start wagering and you’ll build up points, working your way through the different VIP tiers, each with their own perks. The VIP tier to belong to is determined by how many points to accumulate, and that inturn determines the prizes you’re entitled to. For instance, get to 750,000 points and you’ll get an incredibly generous $/€10,000 rewards, invitations to exclusive events, faster withdrawal times, your very own account manager and a whole list of other benefits. As far as joining Playamo Casino goes, the entire process takes just a few seconds. To sign up with this casino, simply enter the required details, including your email ID and preferred currency and password. Confirm that you are 18 years or older and check the box agreeing to the casino’s terms and conditions. Finally, click on the Sign Up button and you’ll receive a confirmation email in your inbox. It’s literally 8 seconds of your time! Once you’ve confirmed your new player account, simply make a minimum deposit of $/€10 to avail yourself of the generous welcome bonus and free spins and start accumulating VIP points at Playamo Online Casino! Any worthy online casino that wants to attract players from around the globe understands the importance of offering a good range of banking options. They also know these options need to be safe, secure and as fast as possible. Playamo has got it right with plenty of deposit and withdrawal methods for you to choose from. To get started at Playamo Online Casino, all you need to do is sign up and make a minimum deposit of $/€10. The minimum withdrawal amount at this casino is just $/€20 while the maximum withdrawal methods tend to depend on which payment method you choose. Withdrawals are typically processed within 24 hours or less. Playamo Casino offers more than 800 games. You can easily use the site’s Search tab to find the games you want to play, or you can peruse through the different categories for the games you want to play. All the casino games on this platform offer up exceptional sound and the highest quality graphics to enhance your online casino gameplay. At Playamo, you will find incredible games from amazing software developers like Evolution Gaming, NetEnt, Microgaming, Play’nGO, Betsoft, Quickfire, Elk Studios, EFT Interactive, iSoftBet, NetGen Gaming and Booming Games to name just a few. If you’re looking for hundreds upon hundreds of the best online slots around, Playamo has got you covered. Genres include everything from fairy tale games to music, horror, and the ever-popular ancient Egyptian themes. Some of the most popular titles include Dazzle Me, Steam Tower, Guns ‘N Roses, Creature from the Black Lagoon and Koi Princess. Table game enthusiasts have more than their fair share of games to choose from. There are plenty of blackjack tables available along with several roulette variants. There are also plenty of Bitcoin table games to check out if you like to use cryptocurrency for gaming fun. Playamo Online Casino offers some of the best live dealer games on the internet. Evolution Gaming, NetEnt and Ezugi bring your real-time dealers for real action. Popular live dealer games at this casino include Lightning Roulette, Dream Catcher Wheel and several variants of poker and blackjack. Playamo is an instant play casino, which means you don’t need to download anything to have fun on the go. You can access their full menu of games, including the live dealer section on your smartphone or tablet. The casino works flawlessly across all major web browsers, including Internet Explorer, Safari, Google Chrome and Firefox. So, whether you have a Windows, Android or iOS device, you’ll be able to access Playamo Casino whenever you want to, no matter where you are, provided you have a stable internet connection. The only difference when it comes to the Playamo Mobile Casino is that the navigation differs slightly from the desktop version. It can be a little confusing at first but take some time and you’ll get used to it. The mobile version also doesn’t have any filters, which makes it somewhat harder to find the games you fancy, but again, if you enjoy playing at Playamo Casino, this isn’t going to be too much of a hindrance. Playamo Casino is fully licensed and regulated by Curacao. This makes them a certifiably reputable and safe online casino. All your personal and banking information is kept safe and secure all the time with the help of first-class SSL technology and impenetrable firewalls. What’s more, all the casino games are independently tested and proved to be fair. One of this casinos’ major priorities is superior customer service. They provide an exceptional level of care, complete with representatives available around the clock through an easy-to-use live chat feature. You can also make use of the online contact form or email. As far as quality and variety of casino games go, Playamo Casino is impressive, to say the least. This casino certainly provides many hours of fun and safe online gambling at its best. The welcome bonus offer and free spins are extremely generous and the VIP programme and tiers make playing here a pleasure with each and every wager. This online casino may only be a few years old, but it’s already making waves with players in a very positive way. Playamo Casino delivers on the expectations of even the fussiest of players that are used to high levels of service. The platform is safe and secure with plenty of payment options and ongoing promotions and bonuses. The live dealer selection is excellent, there are enough table games to satisfy player and hundreds of immersive slots that are sure to keep you coming back for more. 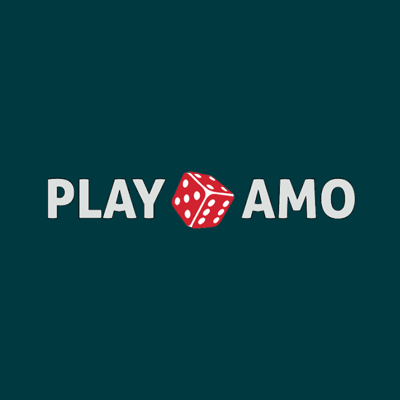 All in all, Playamo is an excellent choice. Sign up today and check it out for yourself!